"On March 17, just a month from now, NASA'Ã‚Â™s MESSENGER probe is scheduled to enter orbit around Mercury, the smallest planet in the solar system. No other mission from Earth has ever done this, and for the first time we get high-resolution maps of the entire globe. On its way down, the spacecraft was commanded to turn around and look outward, toward space. It took a series of images of what it saw this astonishing family portrait of the solar system." I like how it captured the dark rift of our galaxy. But, I would think the images would be better. 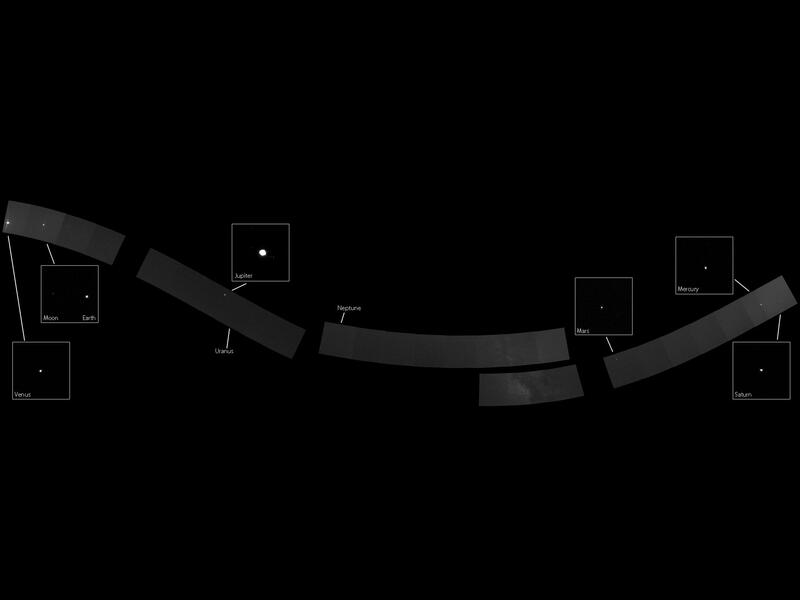 Yet another chance to see our "pale blue dot" from afar (or not so far, in this case). Sagan would be proud.